I’m up in Minneapolis for meetings and was scheduled for a lunch at Crave, a restaurant in the Mall of America. 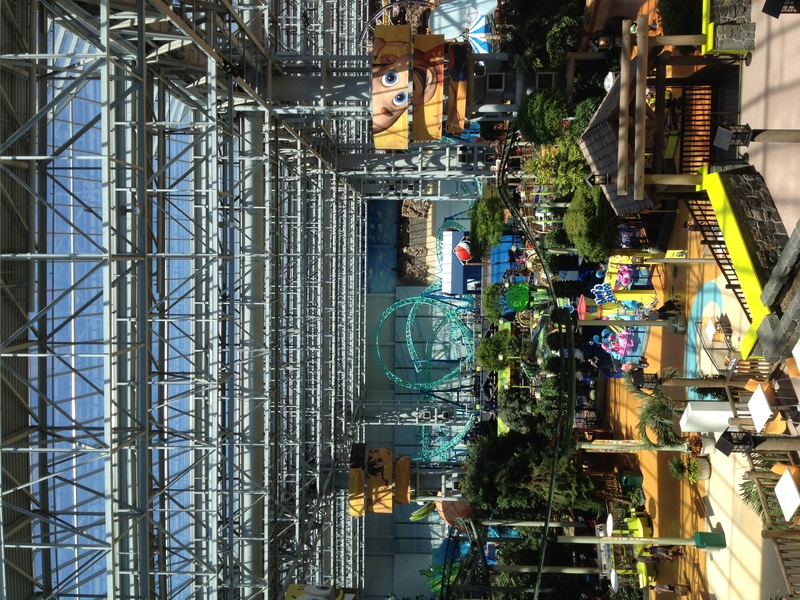 The restaurant was fine; the Mall of America was . . . too much. Too much noise, too much colorful eye-catching signage, too much over-the-top indoor amusement park activity, too much of just about everything. I sat at a sticky table in one of the food courts recharging my cell phone battery, listening to the shrieks of kids on roller coasters and smelling the sickly sweet odor of food court ice cream and soft drinks, and thought: Here is America, under one huge skylight, in all its excess and glory. 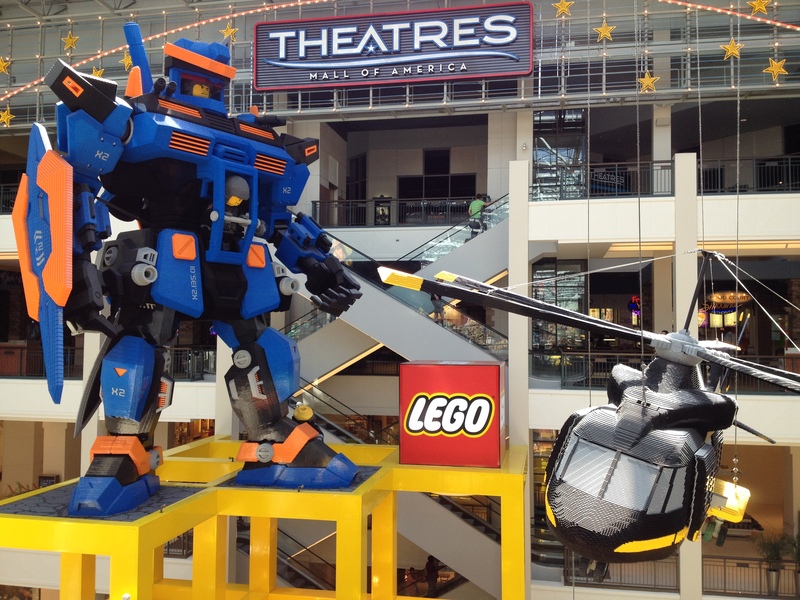 I must admit that the giant Lego Transformer and Lego helicopter were pretty cool.